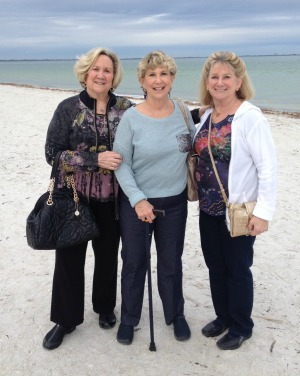 Lynn with her sisters at the beach in Florida. Lynn Gordon is many things. She is a teacher, a friend, a volunteer, a fighter, but above all, Lynn's an inspiration. In 2012, Lynn was diagnosed with pleomorphic sarcoma, a cancerous tumor in her leg. Under the care of Dr. Cynthia Kelly and Dr. Ioana Hinshawn, Lynn endured months of chemotherapy and a below knee amputation to remove the cancer and save her life. Though Lynn’s story of survival is without a doubt inspirational, it is how she has embraced life beyond cancer that is so extraordinary. In the past year alone, Lynn has traveled to Israel, the Caribbean, Florida and Cabo San Lucas with the aid of her prosthetic leg. During her 35 plus years of teaching English at Denver Public Schools, Lynn had thought often about the adventures retirement would hold for her. However, she never imagined that only seven years into it, she would be diagnosed with bone cancer and would lose her leg. Despite this unimaginable challenge, Lynn’s passion for travel and life hasn’t been deterred. Understandably, Lynn has hesitations and limitations when it comes to travel, but she finds ways to make it work for her. She believes whole heartedly in taking advantage of any accommodation from which she can benefit and not being afraid to ask for help from friends, family, and even strangers. “People want to help you; let them!” she encourages. 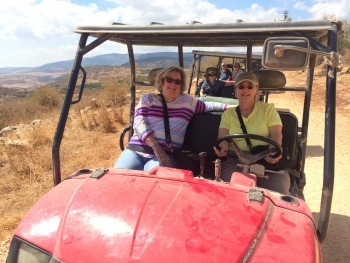 Lynn and with her sister, driving a dune buggy in Israel. One of Lynn’s favorite experiences from her recent trip to Cabo San Lucas was getting into the ocean and snorkeling. To help get her down the beach and into the water, Lynn uses the aid of a “water leg” – a prosthesis that uses stainless steel parts so it can get wet without rusting. Not only did Lynn have a fantastic time in the water, she also impressed her friends by keeping up with them without a problem! Lynn found that when she did need assistance, the locals on the beach were more than willing to lend a hand. 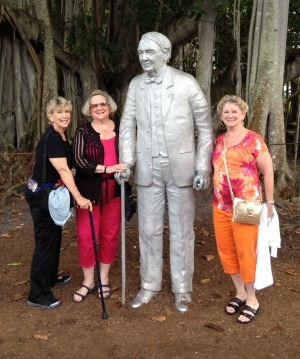 Lynn with her sisters at the Thomas Edison home in Florida. Lynn’s patience, perseverance and positivity inspire us every day here at The Limb Preservation Foundation. The way she has made the choice to live her life beyond cancer embodies our philosophy of hope, help and possibilities. We believe that every patient facing a limb- or life-threatening condition deserved the opportunity to live his or her best lives possible. Lynn Gordon is a powerful testament to what one's best life can look like.